Pangasinan 4th District Representative Christopher “Toff” de Venecia is for the advancement of science and technology in the country. The politiko considered it an honor to have been part of the Congress delegation to the Science and Technology Summit in Davao City to celebrate the passage of the Balik Scientist Act. 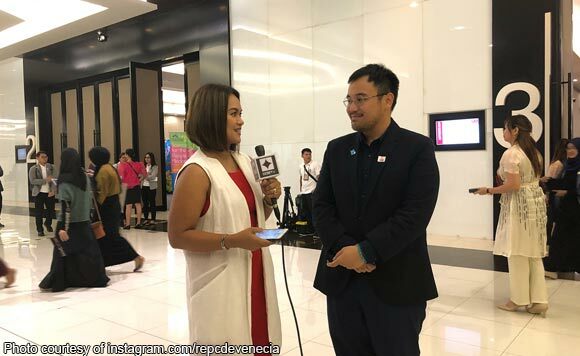 De Venecia had also lobbied for the passage of the Philippine Space Agency Act during the event. “Honored to have joined the congress delegation to celebrate the passage of the Balik Scientist Act, our stakeholders in the field, and to lobby for the passage of the Philippine Space Agency Act. It has finally been scheduled for a hearing in the Committee of Appropriations to assess the feasibility of its proposed capitalization,” said De Venecia. “Infrastructure. Interoperability. Innovation,” he added. Photo highlights from the Science and Technology Summit held in Davao City. Honored to have joined the congress delegation to celebrate the passage of the Balik Scientist Act, our stakeholders in the field, and to lobby for the passage of the Philippine Space Agency Act. It has finally been scheduled for a hearing in the Committee of Appropriations to assess the feasibility of its proposed capitalization. Infrastructure. Interoperability. Innovation.